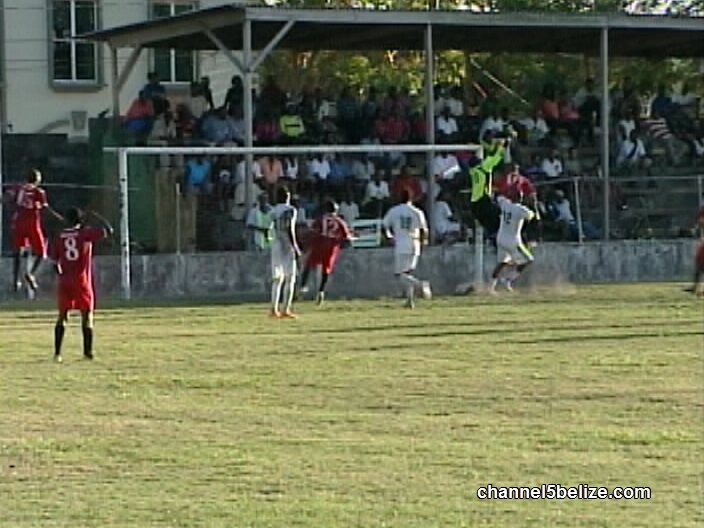 Things are heating up in the PLB this season and the city fans were witness to a monster inside the MCC Grounds as league leading Police battled an ever uprising Belize Defense Force that seems to be in a revenge mode. The first highlight features a descent into negative territory. Orlando Trapp and Elijio Ramirez battle to posses the pill – in the way there Trapp unleashes this vicious elbow for which he is unconsciously closed off the pitch and deservedly so, reducing the B.D.F. to 10. The Police look to take advantage immediately. Trevor Lennan centers into the box as Elijio Ramirez cannot come up with the conversion. Some 30 minutes in the bounce fall the police with Leon’s attempt to close for the B.D.F. is blocked by Byron Usher. The ball travels through traffic to find Devon Makin and his left foot push gives the Police a 1 – zip lead. At the half the Police holds on to the lead. Fresh into the second half Elijio looks for Ramirez gets this chance to give Police United a 2 – zip lead instead he finds the rear upright. Some 14 minutes in Trevor Castillo, fresh into the ballgame finds Harrison Kafu Roches with the perfect ground pass, Roches does the rest to give Police the 2- zip lead. The say never kick a man when he’s down and the B.D.F. makes us a believer. Look at this set piece launch from Harrison Tasher, the angle is acute yet Tasher gets it pass Keith Allen to put the Military on the scoreboard some 25 minutes in. 10 minutes later Tasher strikes again, it’s a nice pass; it beautifully ties the ballgame at 2 apiece. The B.D.F. holds the Police United to a 2 – 2 stalemate. The other action around the league, Placencia Assassins and Belmopan Bandits battled to a scoreless draw while it time to burst out the Champagne as Wagiya FC got its 1st season win by scorching Verdes FC in a 1 – zip blast at Norman Broaster Stadium. Thus the standings finds Police atop the standings after 5 matches with 11 points, Bandits has 9, the B.D.F. 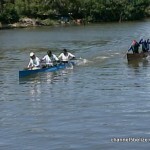 8, Placencia 5, Verdes 4 and Wagiya 3. Week 6 finds Placencia Assassins hosting Wagiya at the Michael Aschroft Stadium on Saturday; the B.D.F. will face Verdes at the MCC Grounds on Sunday and Police will be inside the Norman Broaster against the Belmopan Bandits in a battle for supremacy. Turning to the Secondary School National Tournament on Saturday at the MCC Grounds, Julian Cho High School of Toledo and ACC of Belize City faced off for the male title but it is Julian Cho High School who comes out with the 2016 national title. On the female side Belmopan Comprehensive blanked Corozal Community College 3 – zip to emerge as the national Secondary School Champions. Ava Arias of Belmopan was awarded MVP. 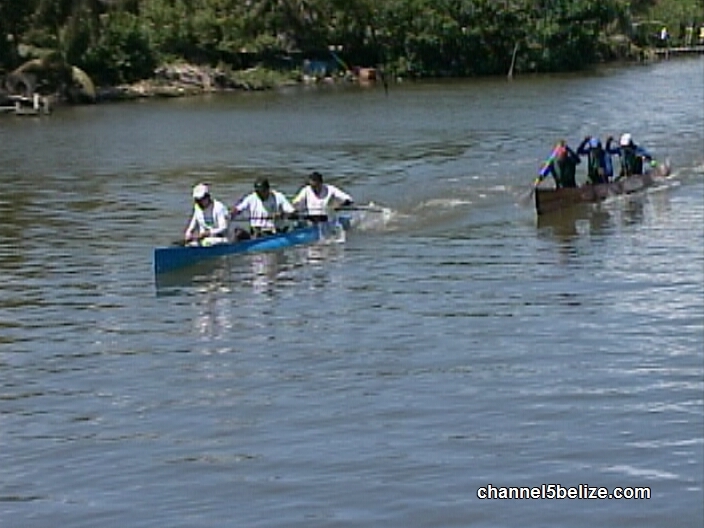 Now let’s take a look at Saturdays Canoe race from Hudson Bank to Burrell Boom to Tavern here in Belize City. We find NICH as the uncontested winner in a time of 2 hours, 34 minutes and 33 seconds. 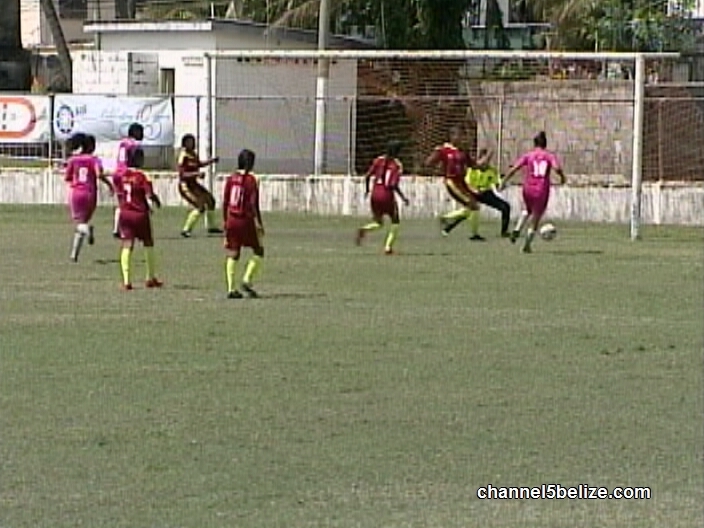 The battle for second place sees Belize Bank Bulldogs edge Programme for Belize by 2 seconds with its time of 2 hours, 35 minutes and 48 seconds. B.T.L. Cobbs paddles in for 4th place while Koop Sheet metal rounds out the top five. In basketball news, Belize City finally got to see the Orange walk Running rebels who made an appearance at the BHS Gym Friday night against the host Smart Belize Hurricanes. Randy Usher a former running rebel had a break out game against the OW team hitting 3 of 2 three’s and 5 from the 7 of the field for a 21 point output. Roger Reneau had a pretty good outing for O.W. posting 19 points as the team high. However the big man of the night was Mr. MVP Farron Lauriano of Hurricanes who led all player with a mighty 2 double of 29 points, 11 boards and an efficiency rating of 41. The Hurricanes led 28-13 at the end of the 1st quarter and never looked back. Lincy Lopez penetrates through traffic for 2 of his 12 points. At the half the lead is 58-23. We’re in the 3rd and Lupito Acosta lands the triple. Lupito would be impressive for OW going 6 for 8 from beyond the arc, 6 of 9 from the field and lead his team with 20 points and 4 assist. Akeem Watters was busy all night for the Hurricanes and he works his way for 2 of his 17 points. 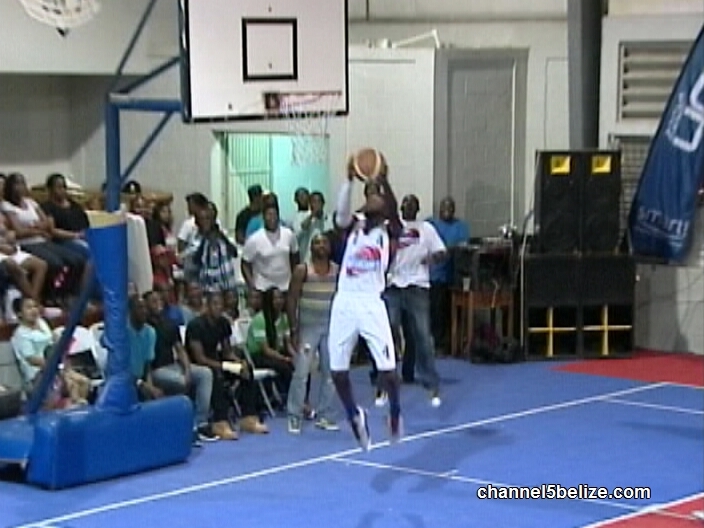 However the outcome was never in doubt as Smart Belize Hurricanes sped past the running rebels 112 – 78. 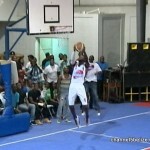 In other action Cayo Western Ballaz stopped Belmopan Bandits 67 – 60, Dangriga Warriors rolled over Independence Thunderbolts 86 – 74 and the Belmopan Bandits gets a 94 – 62 big W over OW Rebels. 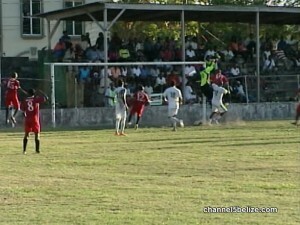 Four ballgames are scheduled for the weekend, on Friday Smart Belize Hurricanes will host Belmopan Bandits, on Saturday Belize City No Limit travel to Dangriga warriors, Cayo Western Ballaz will travel to Independence Thunderbolts and Smart Belize Hurricanes will journey to Orange walk Running Rebels.